3 DISK KIT -- Numerous studies suggest long term use of harmful EMF emitting devices can cause serious ailments and disease. The hazardous electromagnetic field emanating from hand-held devices disrupts the Subtle Organizing Energy Fields (SOEFs) of the body and can cause major imbalances. Tachyonized Phone Micro-Disks transform these disruptive wave patterns of harmful EMFs into a coherent field protecting the user. Use on any type of mobile phone including cordless or a regular home phone and other small electronic devices––-tablets, iPads, iPods, Game Boys…any hand held electronic product. Powerful protection. Safe. Good for a lifetime. The Tachyonized Micro-Disk transforms the disruptive wave patterns of harmful EMFs into a coherent, positive, life-enhancing field protecting you and your loved ones. With a Micro-Disk on your phone and electronic devices you do not need to limit your exposure! The Tachyonized Phone Micro-Disk is available in singles, 3 pack or a family kit which contains 5 Micro-Disks. Tachyonized Silica Disks are our workhorse product and our best-selling item.They can be used for a variety of things. They protect you from harmful electro-magnetic and cell phone radiation. They'll charge your water, herbs, supplements, fruits, vegetables and grains raising their energetic potential. Use them in your garden––they'll substantially improve the energy of the plants. They are extremely effective directional antennae for attracting Tachyon energy to a specific area. They are designed to be worn on the body to treat any injury and to help unbalanced organs return to their natural balance. 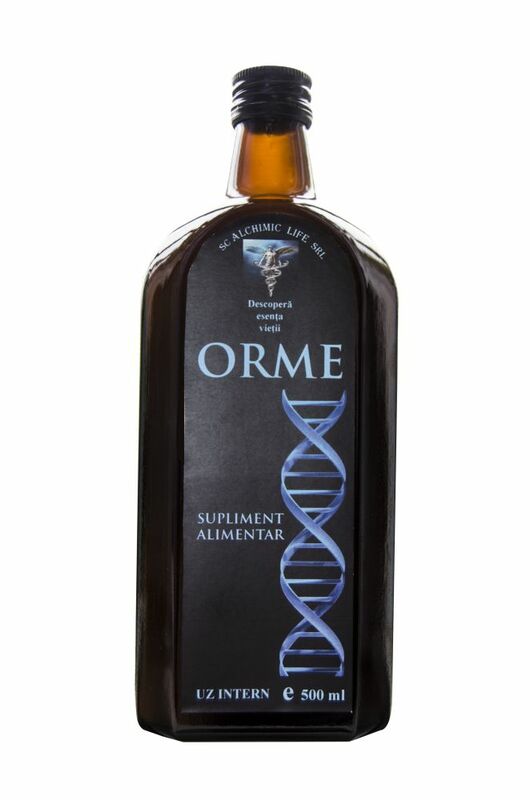 They'll rejuvenate your immune system, align your chakras, and enhance athletic performance. The disks are made of pure silica material. Help yourself to optimum protection and prevention with our line of Tachyon Silica Disks. A subtle shift as your system slowly integrate with the natural vertical invitation of the Mini-V's vertical flow. It is important that you give the Mini-V time to integrate within your system. As your system begins to harmonize and equalizes, there is typically times of joy for no reason, subtle, -yes, but after a while you will begin to notice a new or deeper sense of well-being. For many an attunement to who they are begins or deepens as they sense their power of being. For others, it is first noticed by the comments and reactions of friends and loved ones, as they notice something is different. However, you experience it, please do share. It is a tool that ignites or fuels your own inner divinity. Please do allow yourself time, as often it takes weeks to come to the point of recognition. For this reason, it is recommended to wear it every day, only removing it at nighttime. Now, after many years of testing and research I have created the Mini-V pendant––a mini-version of the original Vortex pendant. Creating a pendant that would contain this supremely powerful energetic field took me years of research and testing. It is the only vertical pendant in the world that harnesses the most powerful energy in the universe. The energy comes from a crystal that is encased in a steel tube that has been hollowed out. While wearing it, your energy system is balanced and harmonious and you can be protected from electro-magnetic energy. When wearing it you will experience a much more balanced and healthy flow of energy throughout you system. The positive, life-enhancing experiences and testimonials from those who have been fortunate to wear the pendant have been beyond my expectations. THIS IS A FREE 3-PART TACHYON ONLINE PRACTITIONER COURSE. The course has been designed to elevate your awareness and teach you how to begin using the Professional Tools: TLC BARS™, Tachyonized VOGEL WANDS™, Tachyonized MASSAGE BARS™, Tachonized HYBRIDS™ AND MORE. All are available on this site. Increase your knowledge and advance your understanding of the effect Tachyonized™ materials have on biological systems. This step-by-step course will provide you with experience and techniques you need to begin accessing Tachyon's full potential in your life and the lives of your clients or loved ones. You will be able to immediately implement your new skills. This work blends perfectly with any and all previous modalities you may have already embraced. Specifically, this course trains healthcare professionals and those on the path of self-care to reduce and/or eliminate their patients' pain, as well as training in treatment modalities for dis-ease and dis-orders. There is also an intensive course focusing on releasing blockages in the Energetic Continuum. Become a Master of the TLC Bars, the River of Life and the Bifurcation Point as the energetic keys to an amazing "youthing" process. You will also learn about the other Tachyonized tools so that you can feel grounded using and prescribing them. In this course, you will evolve your ability to integrate the use of both the internal and external Tachyonized tools, which can accelerate movement towards a new level of well-being and rejuvenation. If you haven't done so, please watch VIDEOS #1 to #6 to get a better understanding of the terminology and the amazing benefits of Tachyon. Progress step by step through the sections to achieve maximum understanding. *There are Tachyon Wholistic Wellness courses, as well as Vertical Reality courses taught worldwide. We encourage you, when you can, to attend these as part of your path. you may then proceed to the actual course. This step-by-step course will provide you with the experience and techniques to begin accessing Tachyon's full potential in your life and the lives of your clients or loved ones. You will be able to immediately implement your new skills. This work blends perfectly with any and all previous modalities you may have already embraced. Specifically, this course trains healthcare professionals and those on the path of self-care to reduce and/or eliminate pain, as well as learning treatment modalities for dis-ease and dis-orders. There is also an intensive course focusing on releasing blockages in the Energetic Continuum. Learn to master the TLC Bars, the River of Life and the Bifurcation Point as the energetic keys to an amazing "youthing" process. You will also learn about the other Tachyonized tools so that you can feel competent using and prescribing them. In this course, you will evolve your ability to integrate the use of both the internal and external Tachyonized tools, which can accelerate movement towards a new level of well-being and rejuvenation. A brand new Vogel Tool! I had a few of these Lab Grown Amethyst Vogels cut, for fun. So many people liked them, we choose to offer the ones we have and see what happens. The Tachyonized Vogel has unparalleled power. Perfect for the highest level energy work or meditation. There’s a story behind the development of the Vogel Wand. I first met Marcel Vogel around 1984. His research into the potential of quartz crystals fascinated me. We had many conversations, always ending with Marcel's assertion that cutting a crystal on its seed axis (C-Axis: Described in my book) did not enhance its power. Since I was a young boy I have been able to see energies move and I could see the powerful difference when a crystal was cut on its C-Axis. Significantly more powerful energy emanates. I had been working with Drew Tousley, a Vogel master cutters for years, but it was not until Marcel left his body in 1991 did I truly begin to see the possibilities. I began having Drew Touseley cut all our Vogels from laboratory grown crystal, on the C-Axis. Once Tachyonized, this became the world’s most powerful crystal tool. So powerful, that I only sold them to professionals. The results have been astonishing. Until now, because they’re so powerful, I have only allowed them to be used by therapists, bodyworkers, health practitioners, and energy medicine professionals whom were trained. As you see, Everything has changed. And now I am here offering you training and opportunity. I've been led to introduce them to the world. Here is your chance to experience the health benefits of the world’s most powerful Tachyonized crystal. The 3.25 inch (8.2 cm) X 12 sides, small and powerful. We have different sizes available form the USA stock. Contact support with your desires. The Tachyonized Vogel Wand has unparalleled power. Perfect for the highest level energy work AND meditation. Plastic Display Base NOT Included. 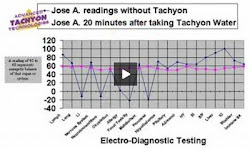 Enjoy these videos from the Vogel Segment of: "FREE Online Pratitioner Course"
Tachyon energy changing lives, in action. The video is shot during a Vogel training course. The students are practicing different integration techniques. If you look closely, you will see Tachyonized Vogels, Hybrids and TP-1000 in use.